Koalas are funny little creatures, but the Koala Crisis in South-East Queensland and NSW is no joke. They’re losing habitats and becoming endangered fast. It’s time to act. 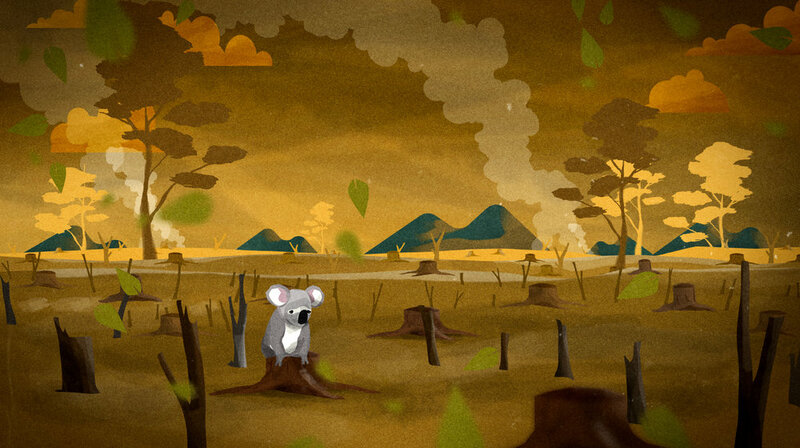 So, working with WWF Australia, we came up with the KIMBY campaign (Koalas In My Backyard). The aim is clear: to strengthen laws that stop excessive tree clearing. We crafted, designed and animated a persuasive 45 second animation that was shared and promoted on social media. This drove users to the main campaign website where they were greeted by more of our gorgeous animated assets. 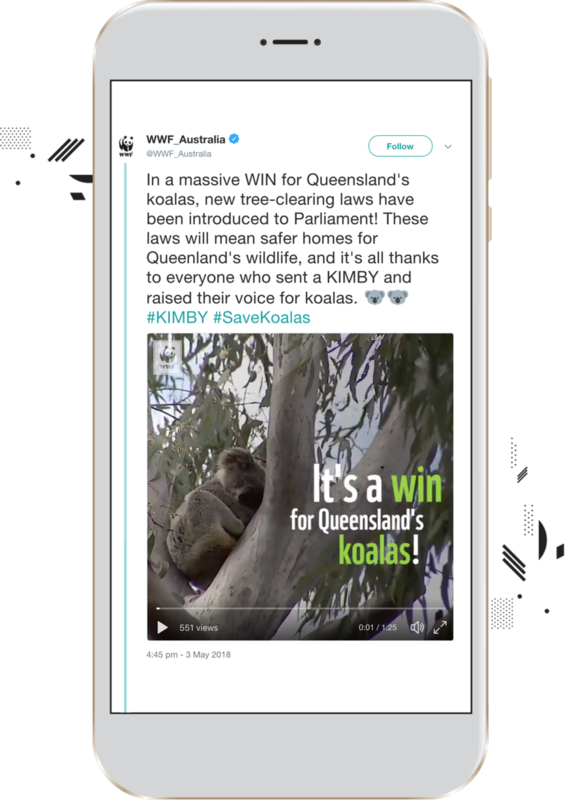 Supporters were invited to fill out a petition that was embedded in a digital origami koala, one of the most important elements of our campaign, and sent to key Queensland politicians to let them know they wanted to see ‘Koalas In My Backyard’. 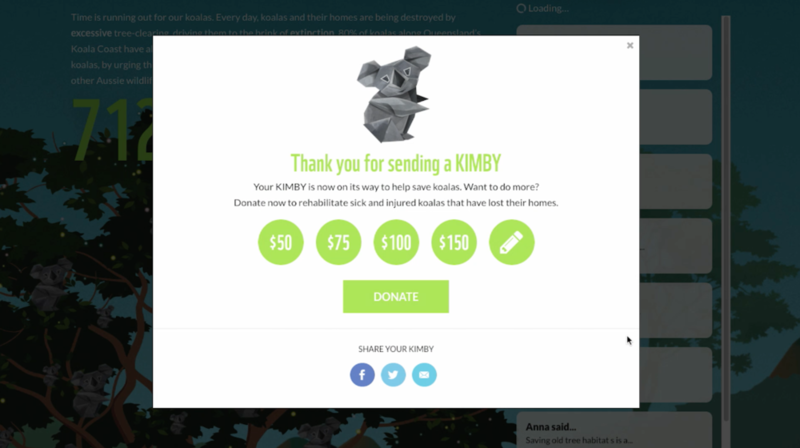 With over 60,000 Kimby’s sent to local MP’s and over 600,000 unique views of the main campaign video, the campaign was a real success. So much so that very recently, legislation has been changed to protect their habitat. Exactly the result we’d all hoped for. Any part we can play in saving those funny little creatures – count us in. The campaign continued with a strong push on social media. We crafted bespoke executions for Facebook, Insta and Twitter, each optimised specifically for the output. 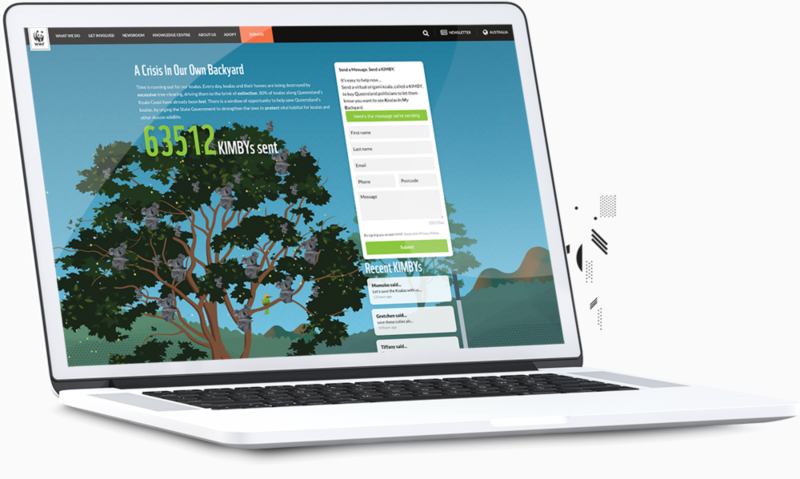 It was important to keep a consistent look and feel throughout the campaign, so we worked closely with the WWF digital team to provide assets that could be used to populate the microsite and other digital executions. 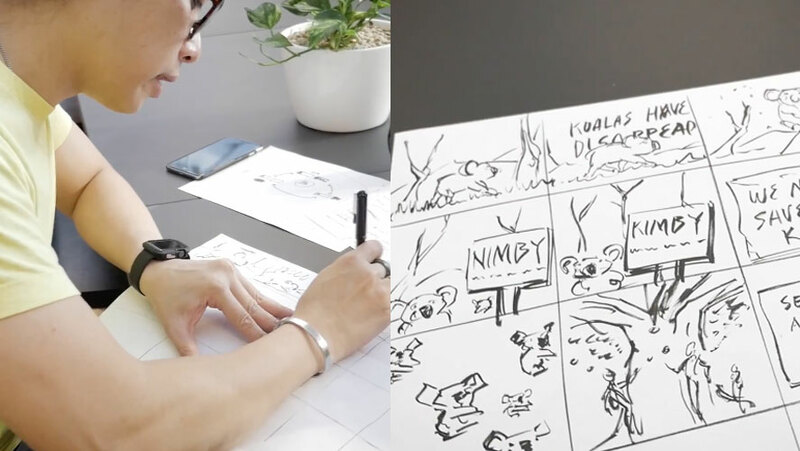 At the end of the campaign, our animated origami koala became a visual icon that was instantly recognisable and synonymous with the KIMBY idea. Our Campaign Resulted in Direct Change.